Marketing, like architecture, has some core fundamentals. Most marketing strategy templates will ask you a bunch of questions about the four Ps (price, product, promotion, place). Those are important questions – but they don’t get to the heart of the issue for most companies. 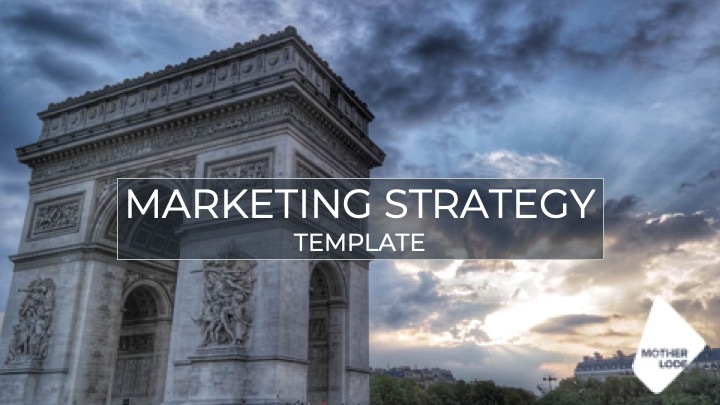 The Motherlode Marketing Strategy template is designed to help you focus on answering the four most important marketing questions. What are the four most important marketing strategy questions? How is your product or service unique? That’s the key question your customers want to know. Most products and services are very similar to those of the competition. How does yours stand out from the pack? Focus on communicating that. WHICH PROBLEM/S ARE YOU SOLVING? Every business exists to solve one or more customer problems. Which problem/s are you able to solve better than your competition? HOW DO YOU COMMUNICATE YOUR VALUE IN THREE SECONDS? When people come across a piece of marketing collateral, whether it’s an online ad or a brochure, they are going to give it a limited about of their time and attention. You have about three seconds to catch their interest. Can you communicate your unique value in three seconds? Why should these potential customers trust you and your company? That’s a major issue in any sale, and one that often doesn’t get given enough effort. Tell them why they can trust you – and make it genuine and objective.